Kurt Donald Cobain (February 20, 1967 – c. April 5, 1994) was an American singer-songwriter, musician and artist, best known as the lead singer and guitarist of the grunge band Nirvana (Wiki). 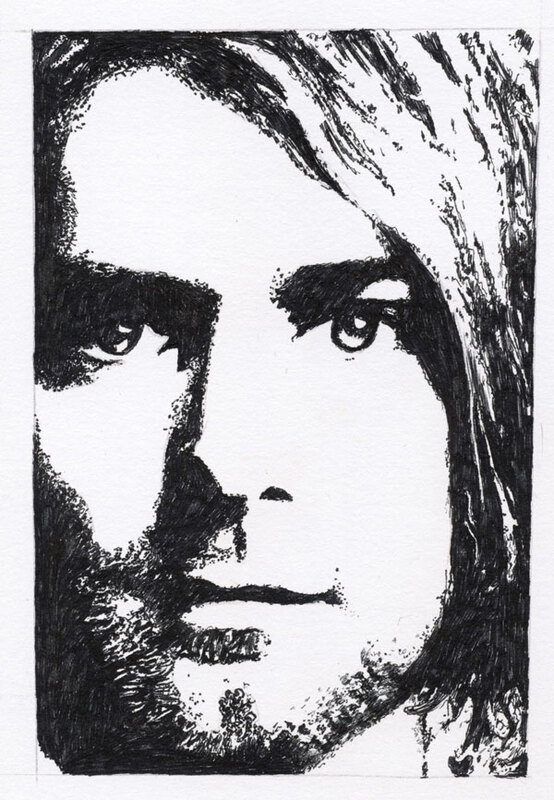 This entry was posted in Artwork and tagged Kurt Cobain, Kurt Cobain drawing, Kurt Cobain sketch, Kurt Cobain sketches on March 5, 2012 by Yami. Wow, that looks really great! I loved Nirvana back in the day.